Ann works at Danfoss and they are one of the main sponsors of the local professional sports club so once in a while they get tickets offered for games. Ann was lucky to get tickets for last Sunday’s football game, where the local club SønderjyskE hosted the team from Silkeborg. The full name of the club is Sønderjysk Elitesport (Southern Jutlandic Elite Sport) and the club was founded as a regional sports club in 2004 when it was decided that city based teams in the region needed better support from fans and sponsors in order to make it in the professional leagues. The club consists of two professional football teams (male and female) based in Haderslev, two handball teams (male in Sønderborg and female in Aabenraa) and an ice hockey team (male) in Vojens. The football club has over the past decade hovered at the top of the Danish 1st division and bottom of Superligaen, the Danish version of Premier League, with 5 seasons in each league. 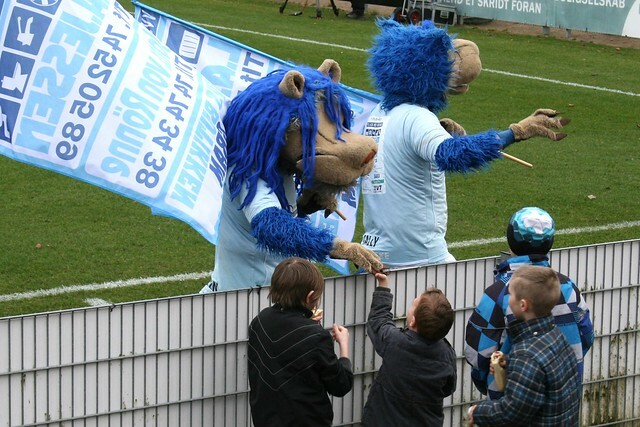 This year SønderjyskE is trying to stay clear of the bottom of Superligaen where the bottom two will get relegated. So far it’s succeeding – barely. 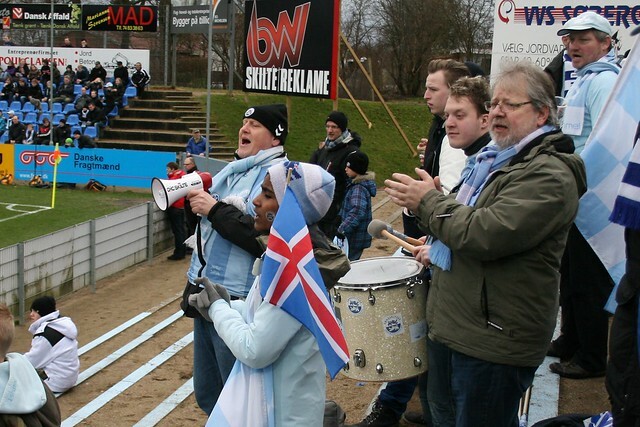 We went to see the game against SIF from Silkeborg. 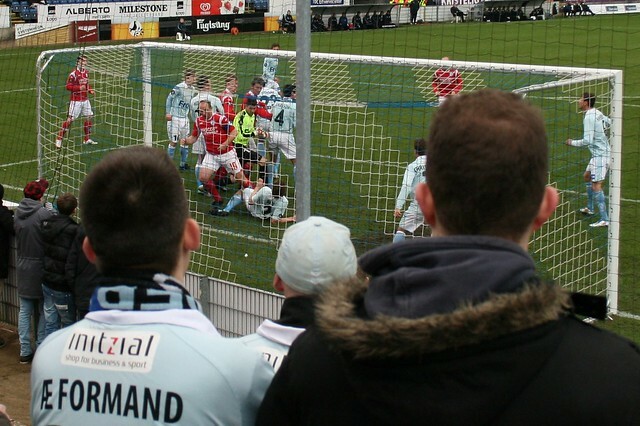 A win or a draw would mean that SønderjyskE had a buffer from the two teams getting relegated. The game didn’t start out too well, with SIF getting a two goal lead before half-time so things looked pretty bleak. The local fans were not deterred though and kept singing and drumming. Soon after the second half started SønderjyskE made a surprising comeback with two goals in quick succession! The score was 2-2 and the atmosphere was great, the local team was in the game again. But as SønderjyskE caught up it was as if the team let down their guards or the air ran out of the balloon. SIF scored two more goals and the final result was a disappointing 2-4. Although it was a cold, grey day to spend a couple of hours standing around we really enjoyed the day at the stadium. We hope to get to see the other teams sometime soon, hopefully in slightly warmer conditions! This entry was posted in Sports Watching and tagged football, haderslev, spectator, sport, stadium, sønderjyske by Michael. Bookmark the permalink.